Eli "Outstanding and great organized trip led by professionals who also know how to spoil your tummies. 15 days full of highlights: Rhino sanctuary visit, bush camp overnight in Okavango, enjoying the traditional music and dances of the locals. The flight over the delta is absolutely spectacular and a must, spotting wildlife from the air. 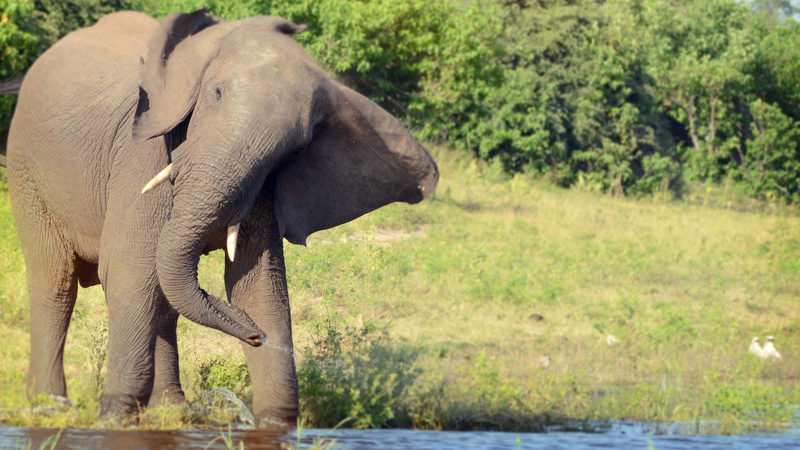 Chobe river sunset cruise with tons of animals around the water ..."
Start and end in Johannesburg! With the overland truck tour Southern Africa Encompassed, you have a 15 day tour package taking you through Johannesburg, South Africa and 8 other destinations in Africa. Southern Africa Encompassed includes accommodation in a hotel as well as an expert guide, meals, transport and more. The trip was very well organized. There was even flexibility to allow for last minute time changes so that we were able to do everything that was on our schedule. For every activity we did there was enough time, it never felt like a hassle. Thanks for the honesty in your review. We are happy to hear about the trip itself, but will look into the comfort offered onboard the Lando. It was overall an amazing trip with great CEOs. However, the only thing holding back from a perfect 10 is that our lando was a bit old and missing many of the advertised amenities. Well priced tours that help you see parts of the world that can be hard to see without a group. What is the time of departure from Johannesburg on the first day? Day 1 of this tour is quite relaxed, to allow for everyone in the group to arrive and get settled after travelling. The only scheduled activity is the welcome meeting in the evening. This usually occurs around 6pm, but can vary slightly - we would be able to confirm this time closer to the start date of the tour. Does this tour have other accommodation options? Unfortunately, this trip does not have an accommodated option. Is this a guaranteed tour? G adventures guarantees all their departures, with no minimum number of travellers needed. Recommended for South Africa, Botswana, Zambia and Zimbabwe. Ideally 2 weeks before travel. Recommended for South Africa, Zambia and Zimbabwe. Ideally 2 weeks before travel. Recommended for South Africa, Botswana, Zambia and Zimbabwe. Ideally 3 months before travel. Recommended for South Africa, Botswana, Zambia and Zimbabwe. Ideally 2 months before travel. Certificate of vaccination required if arriving from an area with a risk of yellow fever transmission for South Africa, Botswana and Zimbabwe. Ideally 10 days before travel. Recommended for Botswana, Zambia and Zimbabwe. Ideally 1 month before travel. TourRadar only requires a deposit of $99 to confirm this G Adventures booking. The remaining balance is then payable 65 days prior to the departure date. For any tour departing before 26 June 2019 the full payment of $1,881 is necessary. No additional cancellation fees! You can cancel the tour up to 65 days prior to the departure date and you will not need to pay the full amount of $1881 for Southern Africa Encompassed, but the deposit of $99 is non-refundable. But, the deposit is fully transferable to future bookings with G Adventures. Covering a total distance of approx 2,922 km.